cdcindonesia.com - In the morning, all the job seekers, the following information about job vacancies from one of the companies engaged in the national gas sector, namely:PT Perusahaan Gas Negara Tbk - PGN is the national gas company of Indonesia. PGN running business in upstream, midstream and downstream gas industry. Its business include natural gas distribution and transportation. PGN was first established in 1859 as a private Dutch Company named L.J.N. Eindhoven & CO Gravenhage. 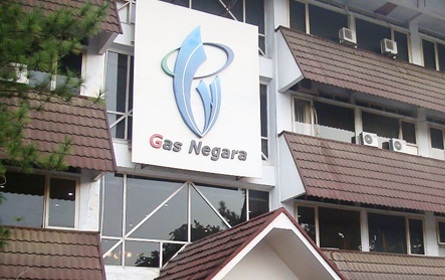 Later in 1965, the Company has officially operated as a state-owned company named Perusahaan Gas Negara. PGN has been listed on the Indonesia Stock Exchange (IDX) since 2003 and its shares are traded under stock code PGAS. PGN is a member of state-owned energy giant PT Pertamina (Persero). As of December 2018, PT Pertamina (Persero) holds 56.96% shares in PGN. Other 43.04% remaining shares in PGN was owned by public. PGN is based in Jakarta and its head office is registered at Jl KH Zainul Arifin No 20 Jakarta 11140. PGN now has 4 strategic business units (SBU), namely SBU I, SBU II, SBU III and SBU Transmission Sumatera - Java. Note: Bagi anda yang berminat bekerja di perusahaan energi seperti PT Gas Negara (Persero) Tbk., hanya untuk lebih memahami, membimbing, mendapatkan informasi perusahaan energi (oil and gas) , silahkan daftar disini. Closing date 27 January 2019.All applications will be treated as strictly confidential.Only shortlisted and passed screening applicants will be notified).